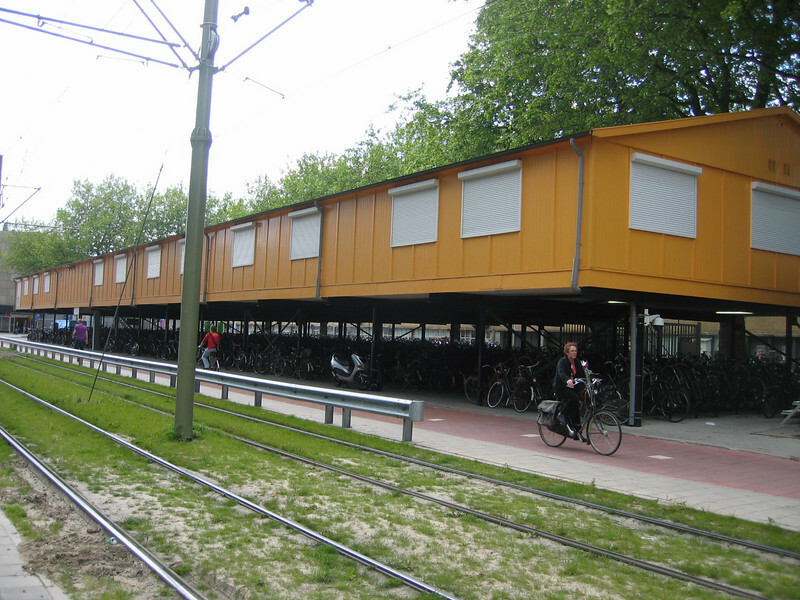 Transit-friendly bike parking facilities in Rotterdam Netherlands. L.A. cyclist Roger Ruddick has a cool piece running on KCRW comparing L.A. cycling infrastructure with Rotterdam, a progressive bicycle-friendly city in the Netherlands. Click here to hear KCRW story. Roger’s insights and interviews are intriguing as L.A. gears up for CicLAvia — To the Sea this Sunday, April 21. 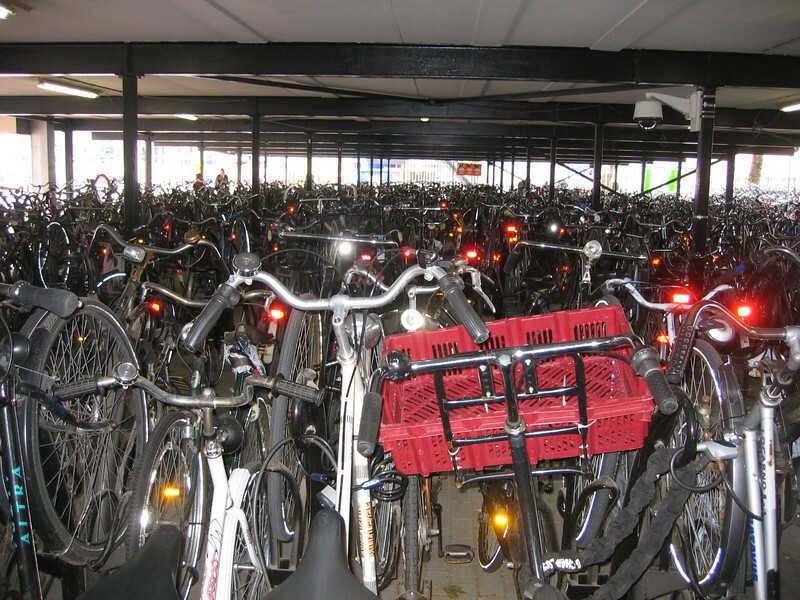 I doubt that the U.S. could ever be similar to the Netherlands, even if it had the same bicycle infrastructure: whereas the latter has criminals who steal bikes, the former has an even more dangerous gun culture. Undoubtedly, criminals in the U.S. would take advantage of cyclists, either by robbing them at gunpoint for money or stealing their bike.